“Leading the way in the solutions and technologies of the future.” If a trade fair is themed like this, it is clear that you will find DEPO there. 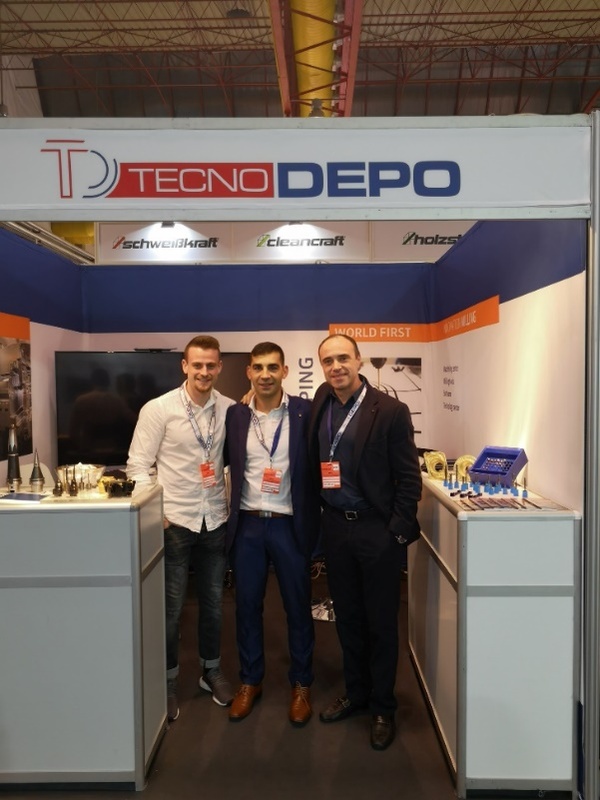 And so the TECNODEPO stand team were able to look forward to DEPO’s future technologies over four well-attended days of interested parties. From the amount of tools and machines for conventional metal machining, the short-shaft tool system, which is perfectly suitable for very low-lying machining operations, and the novel process for the production of deep grooves, Speed shaping, protruding. “Com licença,” you must have seen that! Convincing through Portuguese esprit and expertise, many visitors were enthusiastic about TECNODEPO’s products and have been won over as users. Thank you to the stand team and our guests.